M.S. Dhoni: The Untold Story is one of the most awaited films of 2016. It is the biopic of cricketing legend MS Dhoni. The movie revolves around his personal life and his career. The movie looks very promising and the trailer already left the fans awe stuck. Sushant Singh Rajput portrayed Mahendra Singh Dhoni in the movie and Kiara Advani is playing the role of Sakshi (Dhoni’s wife). Disha Patani is playing another important role of Dhoni’s Ex-Girlfriend. This movie is released on record 4500 screens worldwide, a total number of 60 countries.The movie is already a hit between MS Dhoni fans as it is a treat for them to get an insight of his life on big screen. MS Dhoni has always been a mystery for all, as he is a captain cool who doesn’t express much. He is always calm and confident in whatever he does. MS Dhoni movie review is explained below. The movie is mainly dependent over Sushant SIngh Rajput, who is playing MS Dhoni in the Biopic. He does justice to the role and his hard work has paid off. His acting has improved over the years. He has learnt a lot after his debut film Kai PO Che. Playing on-screen life of someone isn’t easy, but Sushant Singh made us think otherwise. Kiara Advani also did justice to the role of his wife. There are some weak moments in her acting, but overall she did good. The role of Dhoni’s Ex- Girlfriend is a little controversial and the actress Disha Patani played it well.Another important role of Dhoni’s father is played by Sir Anupam Kher which no doubt is played very well. Anupam Kher has done a brilliant job. The movie showcases the struggle and success of MS Dhoni’s life. His personal life is also depicted in the movie. Dhoni was born on 7 July, 1981 in Ranchi, Bihar. His only dream was to become a cricketer and as most of Indian Parents, his father didn’t see any future in the field of sports. He keeps on forcing the cricketer to study well and focus on his exams. For his father, cricket can do no good for Dhoni. He ended up being a Travelling Ticket Examiner (TTE). During his schooling years he was a good footballer and a badminton player. Later on, his coach saw a good wicketkeeper in him even though he never played cricket. He was then selected by the Commando cricket club as a regular wicket keeper. Dhoni was then selected for Vinoo Mankad Trophy Under-16 Championship where he impressed everyone. 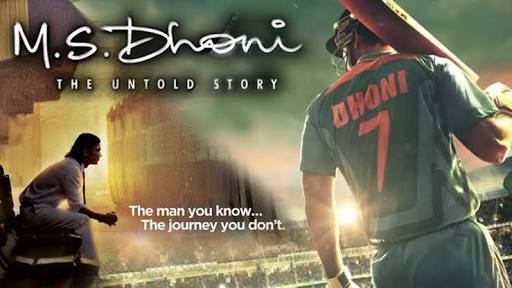 These events are the hidden story of Dhoni’s early life and struggle and the movie coveys it beautifully. The personal and love life is depicted in the movie where he is seen romancing with his Ex-Girlfriend and then wife. M.S. Dhoni: The Untold Story is a complete package of MS Dhoni’s life. The movie is a brilliant piece of work and it shows the struggle and how he handled the success. It is an inspiring biopic of a person who comes from a small town of India and becomes the most successful captain the country has ever witnessed. It is a must watch for every person. The movie is well written and directed. It steals the heart of every Indian, irrespective of his love for cricket. This story depicts that nothing is impossible if you put the effort in right direction. This might not be a perfect entertainment for all of us, but it is an inspiration for sure. You will get to know a regular Indian small town guy, trying to be big, trying to achieve, trying to be somebody from nobody. MS Dhoni movie review is an insight to the movie, but for the real magic, go watch it yourself. Please comment your opinions, ratings and reviews in the comment section below. My Rating 4/5. Check this space for more detailed and complete review. Check the official trailer of Movie.